Hugh Jackman is a famous Australian actor and producer who is best known for his work as Wolverine in the X-Men film series. He has starred in a number of internationally acclaimed movies such as Prisoners, The Prestige, Les Misérables, Pan and Van Helsing. He earned his first Academy Award nomination for Best Actor and his first Golden Globe Award for Best Actor for his work in the movie Les Misérables. Hugh Jackman was born on October 12, 1968, in Sydney, New South Wales, Australia. Jackman has described himself as a Christian and a “religious person”. He meditates daily and follows the spiritually eclectic School of Practical Philosophy. 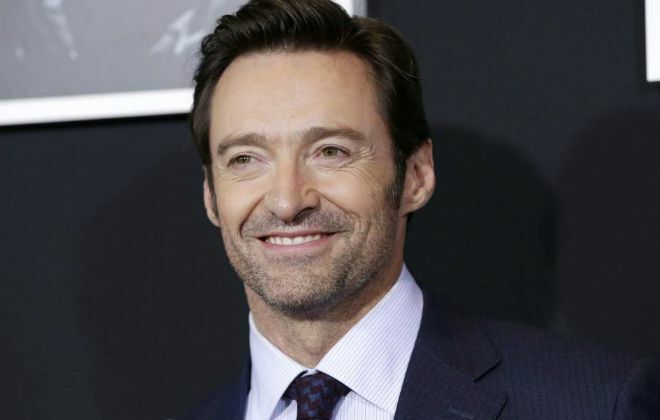 Hugh Jackman attended Pymble Public School for his primary education and later attended the all-boys Knox Grammar School on Sydney’s Upper North Shore, where he starred in its production of My Fair Lady in 1985. Following graduation, he spent his drop year by working at Uppingham School in England as a Physical Education teacher. In 1991, he graduated with B.A. in Communications from the University of Technology in Sydney, Australia. Following graduation, he studied acting at the Actors’ Centre in Sydney. He later attended the Western Australian Academy of Performing Arts of Edith Cowan University in Perth, Western Australia, from which he graduated in 1994. Hugh Jackman married his Correlli co-star Deborra-Lee Furness on 11 April 1996, at St. John’s in Toorak, Victoria, a suburb of Melbourne. Following two miscarriages, the couple adopted two children – Oscar Maximillian Jackman (b. 15 May 2000) and Ava Eliot Jackman (b. July 10, 2005). He wears a size 10-12 (US) shoe. Hugh Jackman got his first film role in “Erskineville Kings”, an Australian drama film in 1999, playing the role of Wace. He landed his first major role in 2000 playing Logan/Wolverine in Bryan Singer’s “X-Men”. The film was a huge success at the box office, grossing US$296 million. The role earned him a Saturn Award for Best Actor. Jackman reprised his role in 2003’s X2: X-Men United, 2006’s X-Men: The Last Stand, and the 2009 prequel X-Men Origins: Wolverine, 2011’s X-Men: First Class., 2013’s The Wolverine, 2014’s X-Men: Days of Future Past, 2016’s X-Men: Apocalypse and 2017’s Logan. In 1994, Jackman appeared in an episode of an Australian television drama series, “Law of the Land” for his role as Charles “Chicka” McCray. His portrayal of Logan/Wolverine in X-Men film series. His role as Leopold in the 2001 romantic comedy film Kate & Leopold, playing Victorian English duke who accidentally time-travels to 21st-century Manhattan, where he meets Kate (Meg Ryan), a cynical advertising executive. He earned a Best Actor Golden Globe nomination. His other notable work includes his roles in film such as Prisoners, The Prestige, Les Misérables, Pan and Van Helsing. Jackman has done brand endorsements for Asahi Super Dry (Japanese beer), Body by Milk, Lipton Tea, and Micromax. Hugh Jackman has a net worth of $150 million dollars. His parents divorced when he was eight and was brought up by his mother. For his performance as Curly in the Royal National Theatre’s acclaimed stage production of “Oklahoma!”, Jackman received Laurence Olivier Theatre Award for Best Actor nomination in 1999. In 2004, Jackman won the Tony Award and the Drama Desk Award for Outstanding Actor in a Musical for his 2003–2004 Broadway portrayal of Australian songwriter and performer Peter Allen in the hit musical “The Boy from Oz”. Jackman is a multi-instrumentalist; He plays the guitar, piano, and violin. In 2003, he was named as one of “The 50 Most Beautiful People in the World” by People magazine. He catapulted to international fame after he played Wolverine in X-Men. In the comics, Wolverine stands 5′ 3″, however, Jackman stands a whole foot taller than his character, at 6′ 3″. Jackman launched his production company, Seed Productions, with his longtime assistant John Palermo in 2005. He was voted People Magazine’s “Sexiest Man Alive” in 2008. His life goal as a young man was to be an international freelance journalist. He got a degree in journalism before acting. In 2009, he hosted the 81st Academy Awards ceremony. Jackman is the Godfather of Rupert Murdoch’s daughters Grace and Chloe. He is good friends with Russell Crowe, Nicole Kidman, Kylie Minogue, Neil Patrick Harris, Eric Bana, Liev Schreiber, Daniel Craig and Kate Winslet. In 2012, Jackman received a Star on the Hollywood Walk of Fame accompanied by his family as well as his “Les Misérables” director Tom Hooper and co-stars Anne Hathaway and Amanda Seyfried. He has 2 pets – Peaches (French bulldog) and JJ (bulldog). In China, he is nicknamed Wolf Uncle because his name does not translate easily. Jackman turned down the lead role offer in the movie The Huntsman in Snow White and the Huntsman (2012), which later went to Chris Hemsworth. As a Philanthropist, Jackman is a global advisor of the Global Poverty Project and a vocal supporter of Muhammad Yunus, microcredit pioneer and Nobel Peace Prize winner.